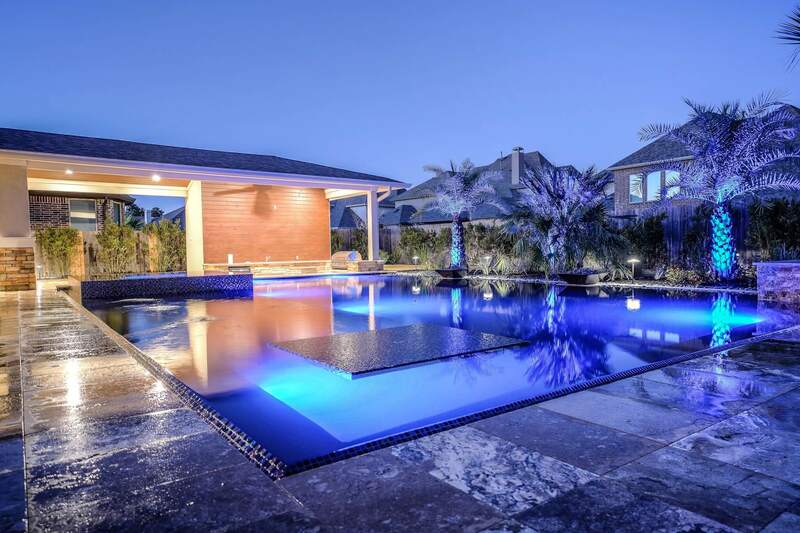 Water features can bring a whole new dimension to your backyard pool. 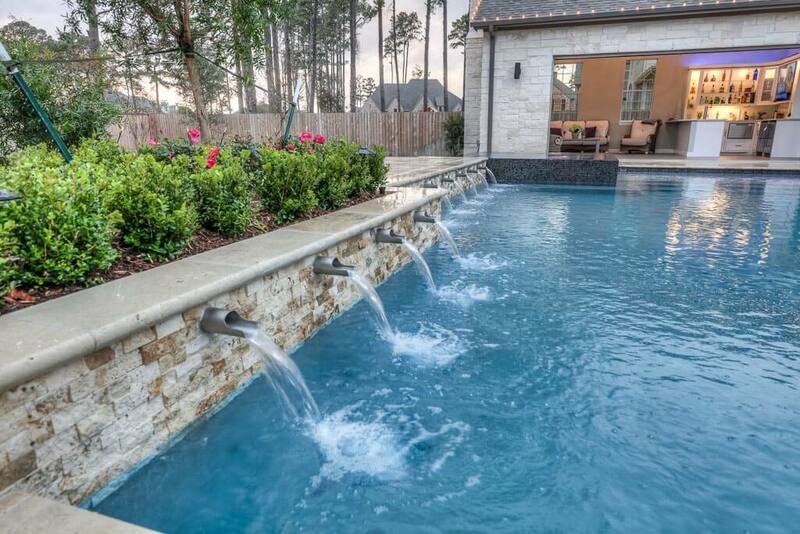 From something like a simple laminar to a more extravagant feature like a natural waterfall, the concept of moving water attracts attention and gets people talking.  By incorporating water features into your poolscape, you’ll not only add an artistic element, but more depth and character, as well. Perimeter overflow, slot edge, knife edge, pools built to the highest standards with systematic water flow engineering and tank design. A sheer descent or scupper is a straight, linear water feature that drops a clean, sheet of water into your pool. 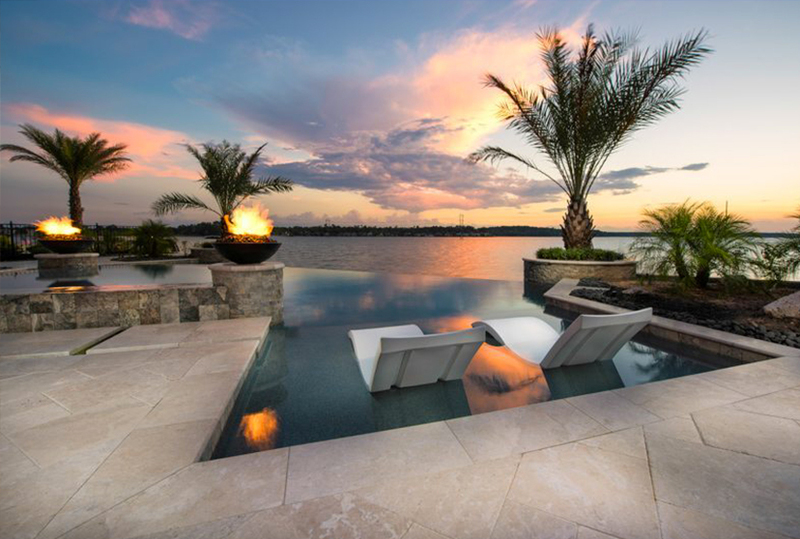 These water features create a soothing water sound with an elegant, majestic look. Deck Jets use air to shoot streams of water from the deck into the pool. Laminars arc across the swimming pool for an elegant and fun addition to your swimming pool. They make for particularly fascinating water features at night when backlit with LED lights. Your kids will love chasing the glowing water! 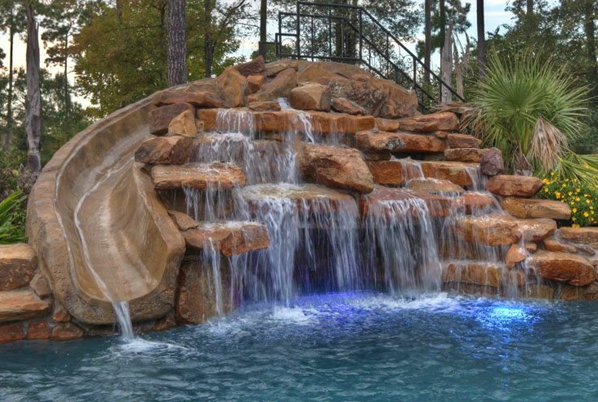 Waterfalls make a classic addition to any pool style and are always popular with children. 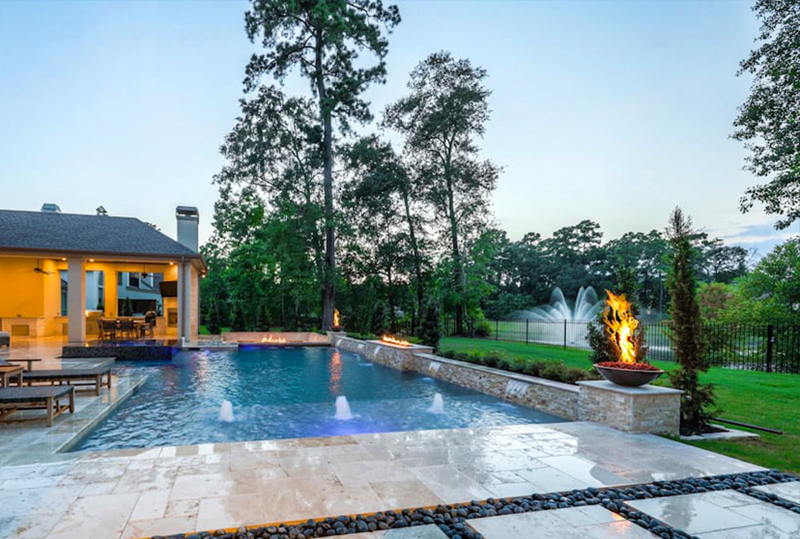 Our custom designed pool waterfalls offer endless design options – from natural rock waterfalls to flagstone waterfalls and spa spillovers. 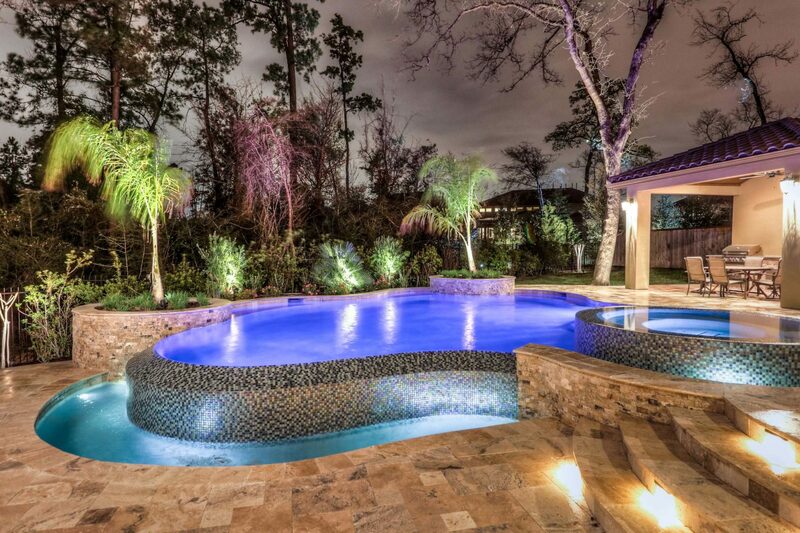 After seeing our custom waterfall designs you’ll soon realize that no two of our pools are the same. 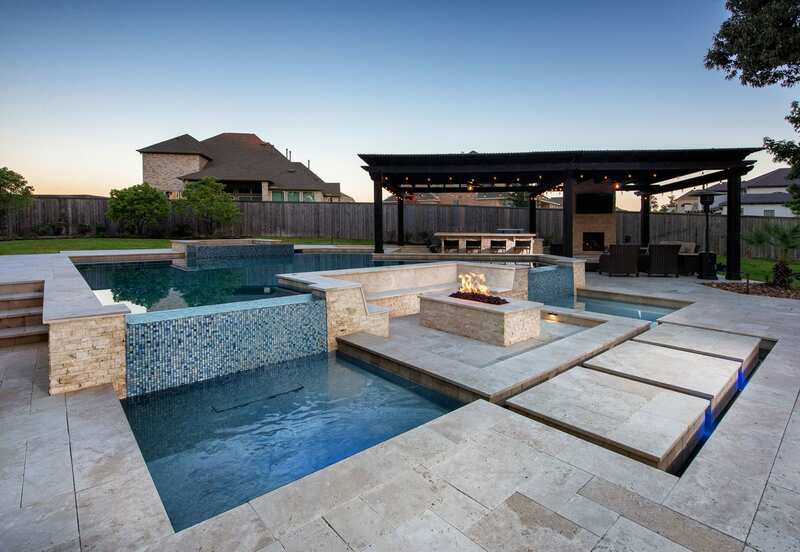 We take the time to insure every water fall design is unique, allowing us to give our customers something that no one else has. 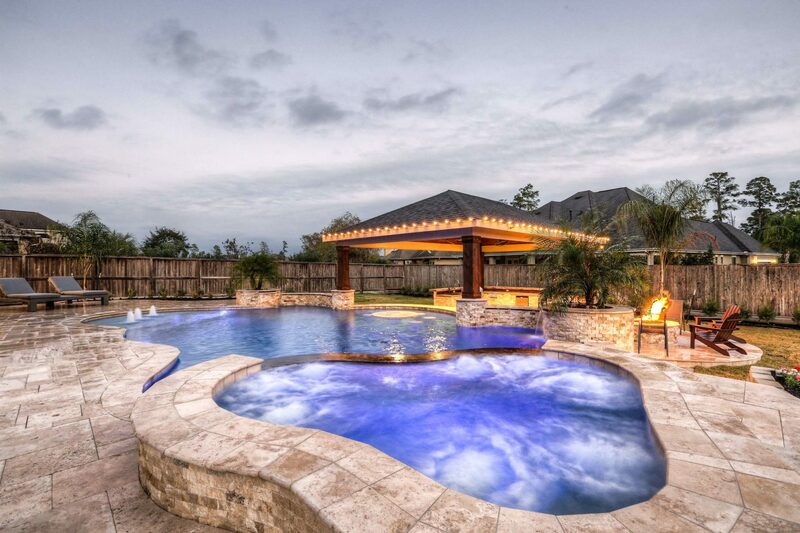 Create a romantic getaway or a place for pirate’s treasure – in your own pool! 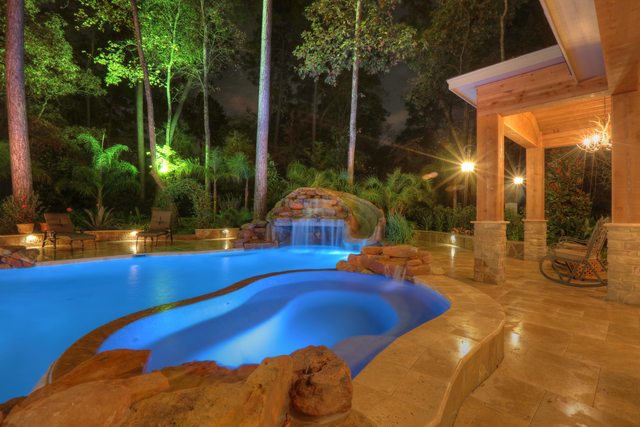 A grotto uses rock & boulders (natural or man-made) to create a small cave where water runs-off, giving your pool an exotic, tropical element. Gone are the days of the unattractive plastic tube slide. 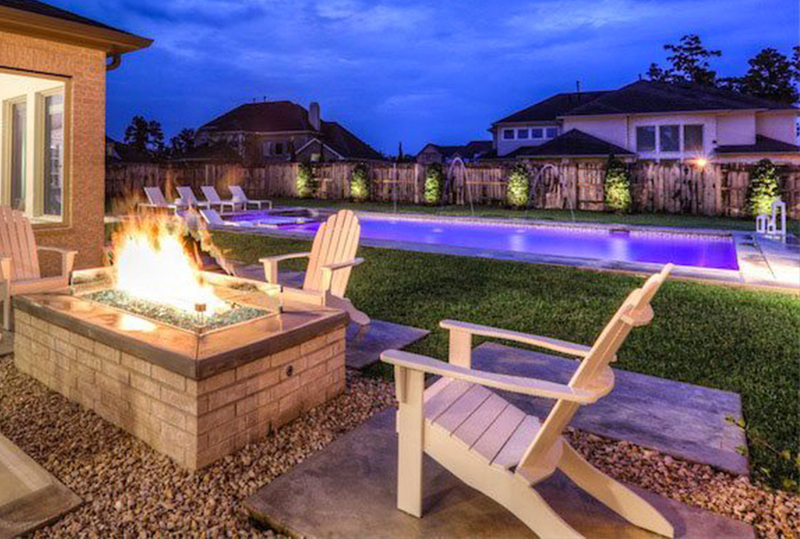 Our custom built pool water slides are designed to accentuate your overall pool design while offering hours of pool fun. Each water slide is crafted to fit your pool’s shape with colors and materials that complement your coping and pool deck. An economical way to give your pool a facelift is to add new tile and coping. Update using the newest colors and materials or create a unique design. The possibilities are endless!